Zebo's omission from the Six Nations wasn't because he was leaving for France, Madigan was picked throughout the Six Nations that followed the announcement of his departure. RobbieRockBoy wrote: Assume just like Zebo, he will now be immediately dropped from the Irish squad? Yes, from what I’ve been told, Saturday is likely to be his last game for Ireland. I don't think this is true, and Murray Kinsella agrees. Fup me!! that's some statement. 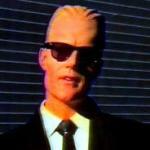 Do you know the man? If you squint your eyes a bit and look real hard, between the lines of Bluemagic's post you can see Nancy Pelosi applauding in the background. cormac wrote: £450k a year. He must have some agent. I'm sorry but whoever told you that is talking rubbish. SOB is contracted till "after" the 2019 World Cup. I presume "after" means the end of the 2019 WC. SOB will play a big part in Japan if he can stay fit. Logic suggests this story was broken now because he just been selected in a 6N Squad. He could be injured tomorrow and that could mean his signing breaking when he was injured - not an auspicious prospect. So, good old opportunism from his prospective employer. That's about 150k a game per season. Seems a crazy signing for LI but good luck to SOB he owes Irish rugby nothing. Any club that signs SOB is mentally certifiable unless it's pay per play. Even as I post there is a ? over his availability for tomorrow's game. 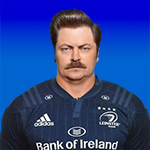 rumour on another forum that leinster will be losing a unspecified front rower at the end of the season. mildlyinterested wrote: rumour on another forum that leinster will be losing a unspecified front rower at the end of the season. More than likely one of Ed Byrne or Peter Dooley. Ulster or Connacht would make the most sense but it might be Munster. James Cronin can't stay fit. led to believe Dooley has a contract at leinster for next season, but we all know that means nothing if the IRFU want to move him. As I said it's just a rumour at this stage, we shall wait and see. they've certainly tried to move him before. Josh will be told to ask to move South because of his surname. Garry Ringrose will be told to move South because they play more former Blackrock pupils than we do.